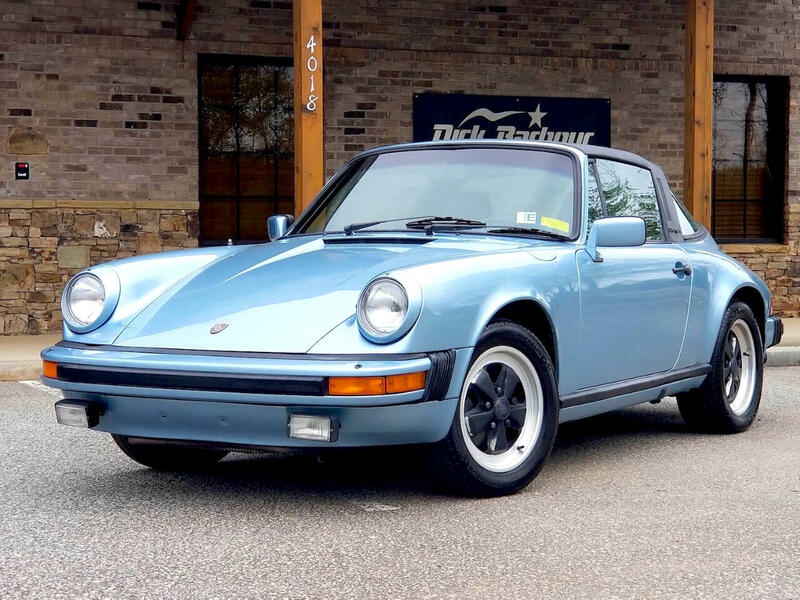 This stunning, low mile, Light Blue Metallic Targa is in great condition, both in and out! The Blue Metallic paint is beautiful and the exterior of the car looks brand new as the car has just received a full proper repaint. The complementary Blue Leather Interior is in outstanding shape as well and the very desirable front sport seats are freshly reupholstered in the correct matching color. The car also sports its original Blaunpunkt radio which further adds to this car’s value and authenticity. The Targa top cover is brand new as well, and is in outstanding shape. The performance of this 911SC is right up there! The car comes with 3 pages of service stamps in the Porsche Maintenance Manual, documenting the car in its early stages of life until the 44,000 mile mark. The mileage is then further documented via registration receipts up to the 64,000 mile mark of year 2000. The car was then stored for a little over 12 years and was brought back to life via a $3,600 work order. It’s been sporadically driven and enjoyed on the weekends ever since. This is an exciting investment you can drive and enjoy! The good ones like this are being hoarded and put away as investments! Message: Thought you might be interested in this 1982 Porsche 911.